Fans of the Devil May Cry series are squealing with delight at the news that fan favorites Trish and Lady are back and better than ever! 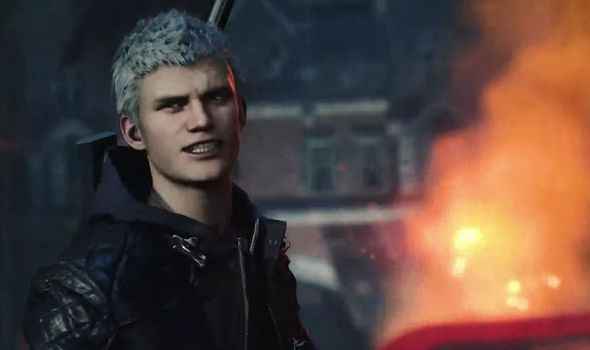 Devil May Cry 5, which goes on general release on March 8th 2019, wowed the crowd at TGS 2018 with their awesome new trailer. Seventeen years after the first Devil May Cry game first went on sale, fans can finally enjoy all their most-loved characters on screen at the same time. Alongside Dante, Nero and Nico you’ll be able to enjoy the unique skills of the two deliciously dangerous women. Sweet. As well as that, new character V, one of the playable protagonists, has been turning heads and got tongues wagging about his role in the game. More details on this mysterious character are sure to be revealed soon, alongside details of the new DMC5 multiplayer mode. The trailer also gave a lengthy peek at Dante’s motorcycle, the Cavaliere, which can be split into two different weapons. He will also have access his usual arsenal of weapons including: the Rebellion sword, Ebony & Ivory, Coyote-A shotgun, and Balrog gauntlets and groves. Oh and Sparda will be making a comeback too. Plenty of heavy slayings and beatings coming up then! Uber fans of the series may want to get their mitt’s on the Deluxe Edition which has also been announced. It comes with Mega Man’s iconic Mega Buster! Pre-order the Deluxe Edition to get other arms including: the Pasta Breaker, Sweet Surrender, and the Gerbera GP-01. As well as a whole host of other goodies: Dante’s upgraded motorize, alternative style rank and title screen announcers, 12 classic battle themes, and a behind the scenes live action cut-scenes. Pre-order ANY edition of the game and you’ll bag yourself a special selection of EX colors for new and returning characters Trish, Lady, and Nico as well as Nero and Dante. Nice. With just over five months until its release date, there’s still time for plenty of tantalizing teasers to be revealed and make us shiver with antici…pation. In the mean time, we’re going to be replaying the the whole back catalogue of DMC games to quench our thirst.